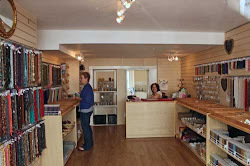 Hi Pip, Thanks for dropping by - looking forward to seeing you in the shop again. JUST FOUND THIS SHOP BY ACCIDENT down in Weston, spent £25 could of spent a lot more, very nice jewellry makng things and at resonable prices. I live in Bristol but will deffo be going in there again soon!